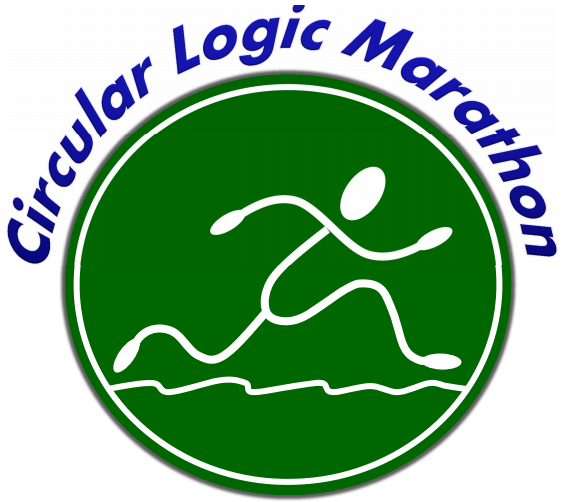 The Circular Logic Marathon is back and better than ever!! 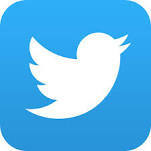 CLM Registration opens on line this Friday, November 1, at noon Eastern Time. Get all the details at our website. Would you like to volunteer before or during the race? You can do that online this year here. All volunteers get a CLM t shirt. This is a great chance to welcome runners from all over the country to our community. Your help makes this happen. We've added gender-specific T Shirt sizing for this year's race, customized batons for each relay team to hand off, early start times and improved lap timing. And, for runners finishing their 2nd or 3rd CLM, we have some extra bling for you at the finish line! We also area allowing early start times and will wrap everything up by 3pm on race day, 6 hours after the 9am start. We bring back the same course as 2013, pick your own bib number for marathoners, litter-free water stop, and a low-cost, fun race to help motivate you to train all winter. We sold out our race in four weeks last year. I have no idea how it will go this year, but do register early to reserve your spot. We will have a wait list if we sell out but if you don't like flying stand by, try to get in early. If it works in your schedule, I hope you can join us again as a runner or volunteer. Feel free to forward this to your friends. Email me with any questions. We enjoy planning this event as a unique addition to the nation's running calendar. 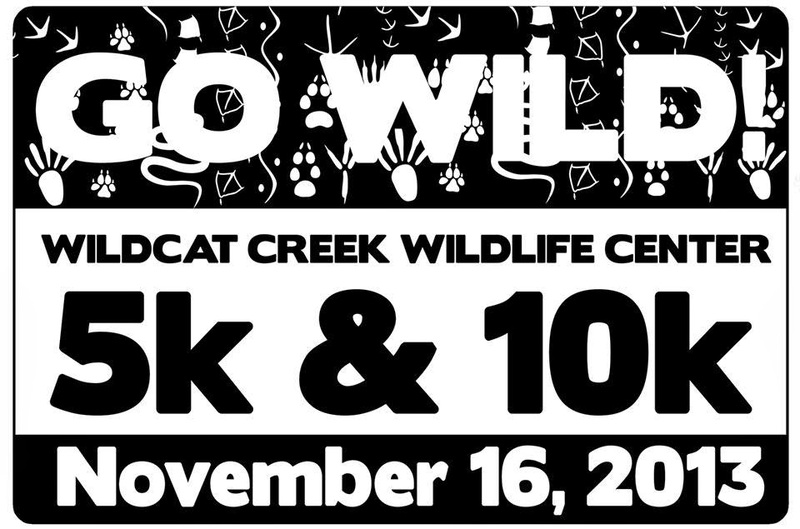 Don't forget to register online for the GO WILD! 5&10k by FRIDAY November 1 to be guaranteed a Race T-Shirt! Here's a preview: designed by Amy Masson of Sumy Designs to mimic a Race Bib! Circular Logic Marathon Registration Opens at Noon, Friday, Nov 1 !! Registration opens this Friday, November 1, at noon Eastern Time. Thanks to your suggestions, we've added gender-specific T Shirt sizing for this year's race, customized batons for each relay team to hand off, early start times and improved lap timing. And, for runners finishing their 2nd or 3rd CLM, we have some extra bling for you at the finish line! If it works in your schedule, I hope you can join us again. Forward this to your friends. We enjoy planning this event as a unique addition to the running calendar. Idrissa Kargbo threw his arms in the air to try to describe his excitement at learning of his entry into the New York City Marathon. The runner from Sierra Leone, who boarded a plane for the first time to come to the race, is the sort of smiling face that used to define big-city marathons. On Monday, his story was only a brief delay to the questions about natural disasters and terrorist attacks. The NYC Marathon is Sunday, an event usually associated with cheering fans lining streets and giddy runners waving to the cameras. Then came last year's race week. West Lafayette led a banner morning for local and area cross country teams at Saturday’s New Prairie Semistate. With Lauren Johnson, Kristen Johnson and Delaney Barber finishing second, third and fourth respectively, the Red Devils girls tied a semistate record by scoring 32 points and claiming their third consecutive New Prairie championship. LaPorte was a distant second with 116 points. Lake Central also scored 32 points in 2007. The full story can be found by clicking here. 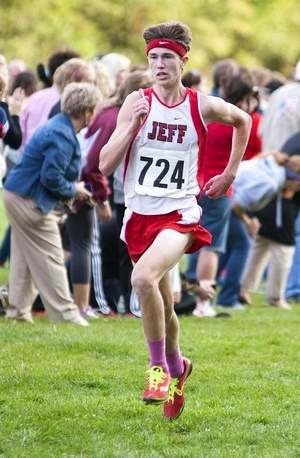 Seniors Josh Long and Quintin Talbott know they may be running their final cross country races for Lafayette Jeff on Saturday, but the duo has another goal besides taking the Bronchos to the state finals. Long believes the New Prairie Semistate will be the best race he and the Bronchos will run this season. The Bronchos, West Lafayette, Frankfort, McCutcheon and Twin Lakes will be among 20 teams competing for six state berths. The level of competition will be higher, and so will the toughness of the course. The full story is available by clicking here. GO WILD! Course Maps Available! 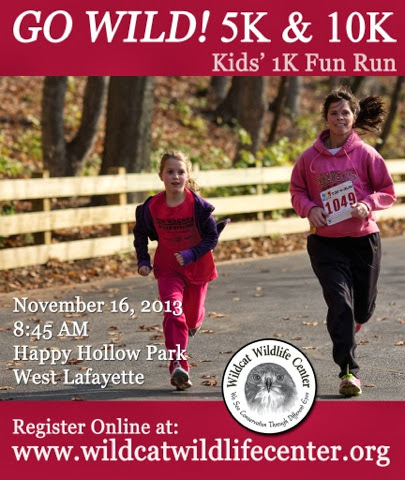 Course maps for the November 19th 5K and 10K are now posted. Check them out at www.wildcatcreekwildlifecenter.org. The Jefferson Boys Cross Country Team finished 2nd at the Harrison Regional Event held on Saturday, Oct 19th, advancing them to the Semi-State to be held at New Prairie (near LaPorte) on Oct 26th @10:30am. Congrats go out to Cayce, Zach, Josh, Daniel, Shane, Quintin, Preston and Coach Howell. PU Half Marathon: Congratulations Finishers!!! 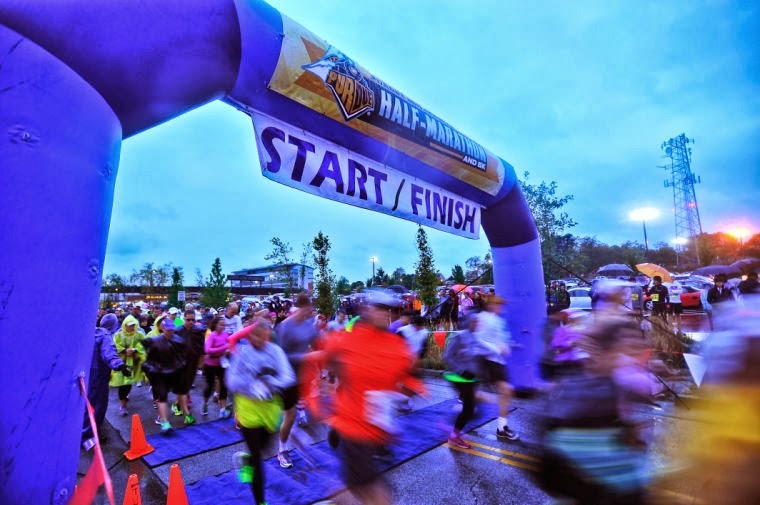 Congratulations to everyone participated today in the Purdue Boilermaker Half Marathon and 5K!!! Click HERE to check out some of event video coverage courtesy of the Purdue Exponent. "The Purdue Half Marathon provides support for PALS. The Purdue Athletes Life Skills provides summer camp for 100's of kids, many from LSC." The bib number look up listed is posted,http://www.tuxbro.com/PHpre-regWEB.htm. Look up your number and come prepared to packet pick-up tomorrow and on race day! If you would like to pick up another persons packet, you must show their confirmation email, a copy of their drivers license OR a note from them saying they are allowing you to pick up their packet. Online registration is closed, however you can still sign up tomorrow at the Expo at Four Points by Sheraton in West Lafayette from 12:00PM-8:00PM and on Saturday on the north side of Ross Ade Stadium from 6:00AM-8:00AM. All pre-registered participants will receive an email later this afternoon with the bib number look up list and other important information. Good luck to everyone participating and a big thank you to our volunteers who are coming out to help! A light drizzle dampened the course at the Tippecanoe Amphitheater just before Tuesday’s cross country sectional, but it did little to slow down the West Lafayette Red Devils. Led by a pair of victorious sophomores, West Lafayette swept the boys and girls sectional titles for the third time in four years. “This is my favorite weather, where it’s drizzling a little bit and there is no sun beating down on you,” said WL junior Logan Berndt, who finished ninth. Unchallenged, the third-ranked West Side girls won their fourth straight sectional, posting a perfect score by taking the top five spots. 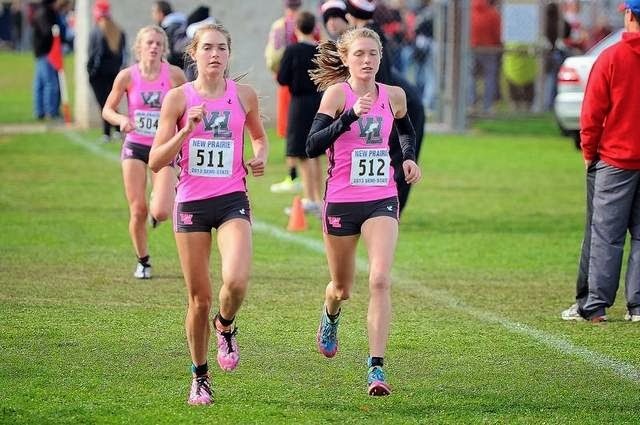 Sophomore twins Lauren and Kristen Johnson finished 1-2, finishing side by side in 18:55. Another twin, sophomore Cooper Williams, repeated as the boys individual champion in 16:10, His twin brother Dylan was part of a pack that claimed the fourth through seventh spots and helped separate the Red Devils from runner-up Lafayette Jeff. “We were just trying to go out there and do as well as we could to get the win as a team, and we succeeded in that,” Cooper Williams said. Last year, McCutcheon ended WL’s streak of three straight boys sectional titles. Early Tuesday, it looked as if Lafayette Jeff would keep the Red Devils from claiming the team title before a last-mile push. Following Williams was Frankfort’s Cody Bray and Rossville’s Solomon Heffernan, but after that came WL juniors Jake Cohen and Dominic Patacsil and sophomores Evan Johnson and Dylan Williams. 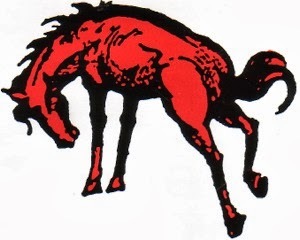 That bunch propelled past Broncho runners Cayce Griffin, Daniel Feltis, Zack Vandivier and Josh Long to help the Red Devils outscore the Bronchos, 23-70. 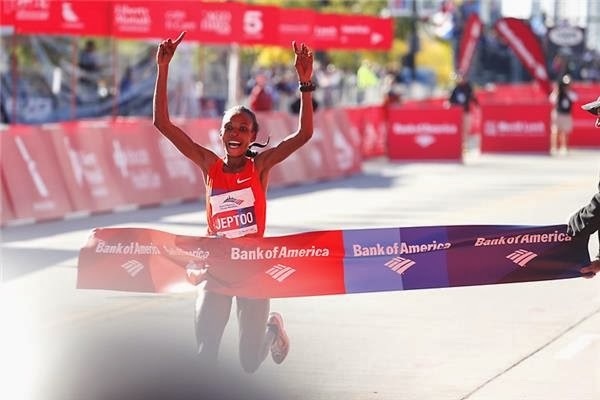 While security was on the minds of many during their 26.2 mile journey through the city's streets, participants didn't let it stop them as the winning runner set a new course record in what has become a historic Chicago Marathon. 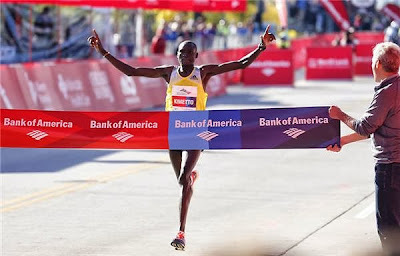 Dennis Kimetto of Kenya won the male division with an unofficial time of 2:03:45, breaking the previous record set last year of 2:04:38. 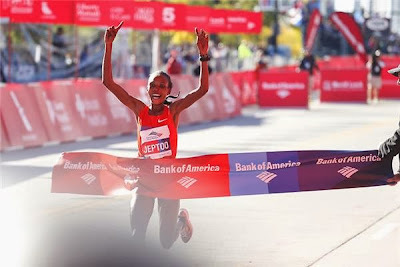 Rita Jeptoo of Kenya won the female division with an unofficial time of 2:19:59, slower than the 2002 course record of 2:17:18. The full story with lots of multi-media content can be found at the Chicago Tribune by clicking here. Slowly but surely, the city of Lafayette is putting into place the pieces of its master trail plan. 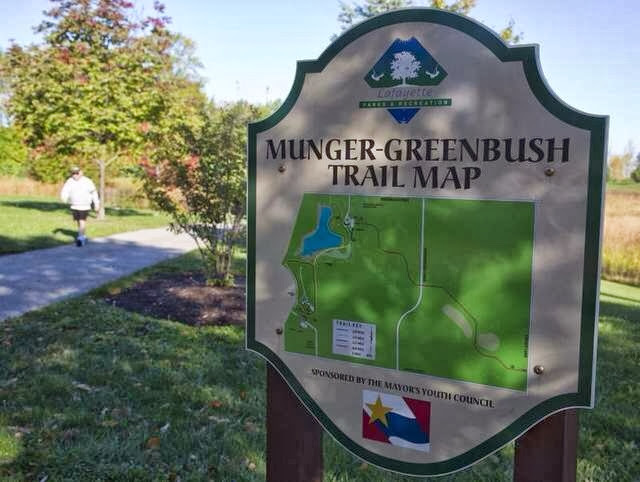 Nine months after the plan was adopted, members of the board of works heard a progress report from Beutler, Fairman & Seufert Inc.,the civil engineering firm that helped map out the design.